WTF is that? 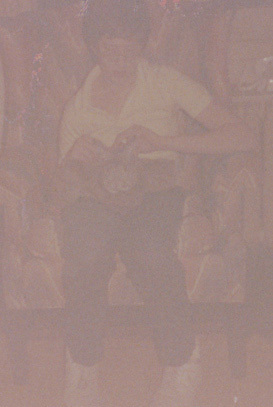 Some scanning and retouching later, and what do we see? 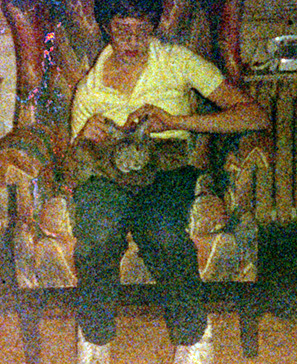 Why, it’s 12-year-old Trixter, petting the family pet, a gray Netherland Dwarf rabbit called Snicker. How the hell did that get in the bottom of a box of software? Oh, wait, never mind. I still threw it away, but hey, I hadn’t thought of that rabbit in two decades. Thanks horribly-faded silver nitrate! This entry was posted on June 23, 2008 at 11:51 pm	and is filed under Family. You can follow any responses to this entry through the RSS 2.0 feed. You can leave a response, or trackback from your own site. When you see it, you’ll sh*t bricks!